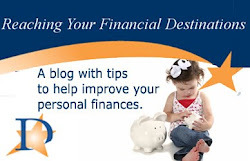 Reaching Your Financial Destinations: Borrowing Against Your 401(k) - Is It Ever A Good Idea? Borrowing Against Your 401(k) - Is It Ever A Good Idea? One feature many people don't realize about 401(k) funds is that the account holder can borrow against the balance of the account. About 87% of funds offer this feature. The account holder can borrow up to 50% of the balance or $50,000, whichever is lower, but the whole amount must be repaid within 5 years. There's no approval process and there's no interest. It's basically a loan you give yourself, and is a popular enough option that 17% of millennial workers, 13% of Gen Xers and 10% of baby boomers have made loans against their 401(k) accounts. But the question of whether repaying that loan will fix the underlying problem remains. Take a look at your last six months of purchases. If you had made a 401(k) loan six months ago and paid off revolving debt, would your debt load still be a problem? Perhaps not - your current situation may reflect an emergency or an unplanned expense. On the other hand, if your credit cards are financing a lifestyle that is above your means, you may find yourself back in the same position a year down the road - and with no money in your 401(k). Borrowing against a 401(k) to deal with a medical bill, a first-time home purchase or an emergency car repair can be a smart move. Using a 401(k) loan to put off a serious change in spending habits is, as one financial expert put it, "like cutting off your arm to lose weight." Before you borrow against your future, make sure it will really fix your present. Your 401(k) is earning money for you. It's invested in stocks, bonds, and mutual funds that are appreciating, usually at a fairly conservative pace. If you pull money out in the form of a 401(k) loan, that stops. The statement that a 401(k) loan is interest-free is only technically true. You have to pay back what you pull out, but before you do, it doesn't earn any interest. Therefore, the "interest" you pay on your 401(k) loan really comes in the form of the gains you never produced on the money you borrowed since you were not investing it during that time. If you're borrowing from your 401(k) to invest in a business, ask yourself if your new venture will beat the return you're currently getting. If you're planning to pay off your mortgage, compare the interest rate you're paying to that return. Don't worry about trying to time or forecast the market. Assuming a 4% return (a safe average) is the most prudent course of action. If you've recently been promoted or gotten new training on an important job duty, you can be pretty confident you aren't going to be let go from your job any time soon. If your recent performance reviews haven't been stellar, or if your company has some layoffs pending, you might want to beware. If you're at all hesitant about your future at the company, hold off on borrowing from a 401(k). If you lose your job or retire with a loan outstanding, you have 60 days to repay the loan in its entirety. Otherwise, it counts as a "disbursement." You're responsible for taxes on the entire amount and you'll have to pay a 10% early withdrawal penalty. Staring down big bills like that after you've just lost your job is not a fun predicament. While job loss can happen at any time, you want to make sure you'll be happy and welcome at your current employer for the next five years before you pull money out of your 401(k). You may also want to consider accelerating your repayment plan to get your 401(k) refunded as quickly as you can. Unlike some loans, there's no penalty for early repayment. Plus, the sooner the money is back in your account, the sooner it can start earning for you again. If you've identified your need for money as immediate, consider what other options you may have available before you dig into your retirement savings. For home repairs, using your home equity line of credit can be a smarter choice. For an outstanding car loan, refinancing may make more sense. For a medical bill, it may be wiser to negotiate a repayment plan with the hospital. If you're purchasing a first home, consider the tax implications of mortgage interest. In many cases, you'll receive preferential tax treatment for interest paid on a home loan. You won't receive that same benefit from a 401(k) loan. 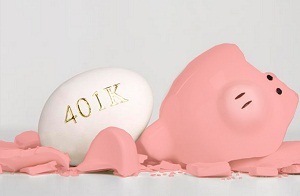 Borrowing from a 401(k) can be a good way to solve a short-term, specific problem. It does have risks, however, and the consequences to your future can be severe. If you've got another option, that'll be better option for you more often than not.